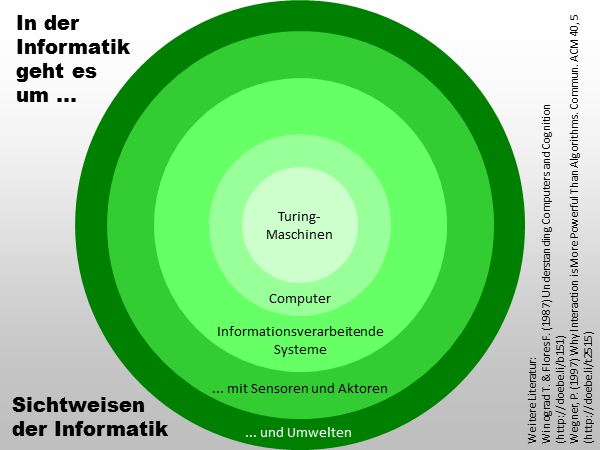 *The* criticism of AI, and more generally the rationalistic view in Computer science. A must for any Computer scientist, AI researcher, or cognitive scientist. [Dieses Buch betont] die kontextbasierte Natur der Sprache und die Schwäche der traditionellen Forschung auf dem Gebiet der Künstlichen Intelligenz. Es enthält einen Beitrag über die Sprechakttheorie wie sie in Coordinator angewendet wird. Viele Menschen stimmen dieser Verwendung der Sprechakttheorie nicht zu, aber diese Arbeit war dennoch höchst einflußreich, ob sie nun angewendet oder abgelehnt wurde. This is a book about the design of computer technology. In it, we look cosey at computers as they exist today and we set out new directions for future development. The discourse presented here, however, js not what one would expect to find in a book of science and engineering. It rnoves among topics and purposes that appear to be worlds apart: it is both theoretical and practical; it is concerned with computer technology and with the nature of human existence; with the philosophy of language and with office automatjon. But it is more than a study in contrasts. Our intention in bringing together these diverse elements is to generate understanding - to let the apparent chasms become spaces in which new possibilities are revealed. 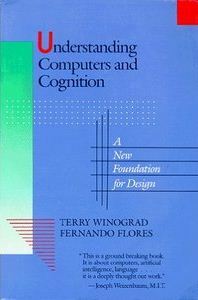 Winograd and Flores' suggestion is to build computer systems that support human activity, in order to support and enhance human intelligence, rather than trying to build computer systems that are themselves intelligent, which is, in their opinion, a futile effort. 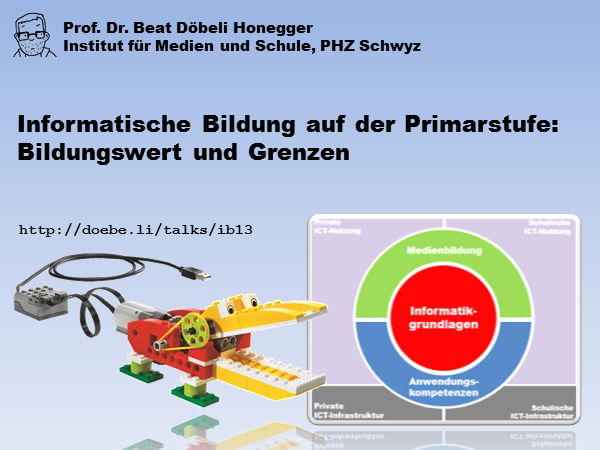 Einer der wenigen konstruktivistischen Ansätze der Informatik, der bewusst die hermeneutische Tradition (in diesem Fall Gadamer und Heidegger) in seine Theoriebildung einbezieht, ist der Ansatz von Winograd und Flores in ihrem bekannten Buch "Understanding Computers and Cognition". Wie treffen wir Entscheidungen?How do we decide? What we understand is based on what we already know, and what we already know comes from being able to understand. Understanding is not a fixed relationship between a representation and the things represented, but is a commitment to carry out a dialog within the full horizons of both speaker and hearer in a way that permits new distinctions to emerge. The essence of language as a human activity lies not in its ability to reflect the world, but in its characteristic of creating commitment. When we say that a person understands something, we imply that he or she has entered into the commitment implied by that understanding. But how can a computer enter into a commitment ? Beat hat Dieses Buch vor seiner Dissertation ins Biblionetz aufgenommen. Die bisher letzte Bearbeitung erfolgte während seiner Zeit am Institut für Medien und Schule. Beat besitzt ein physisches und ein digitales Exemplar. (das er aber aus Urheberrechtsgründen nicht einfach weitergeben darf). Aufgrund der vielen Verknüpfungen im Biblionetz scheint er sich intensiver damit befasst zu haben. Es wird auch häufig von anderen Objekten im Biblionetz zitiert. Beat hat Dieses Buch auch schon in Vorträgen erwähnt.